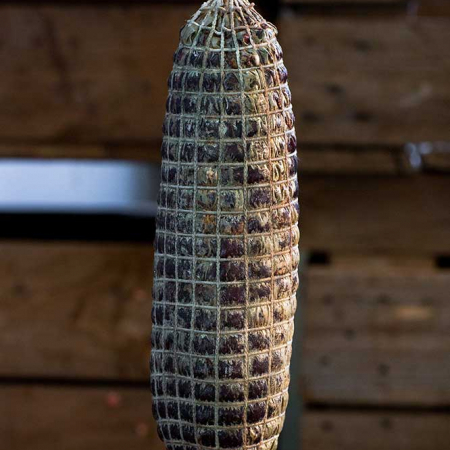 Description: Fiocco is a lovely, nuggety salume made from the thigh muscle of certified free-range sows. 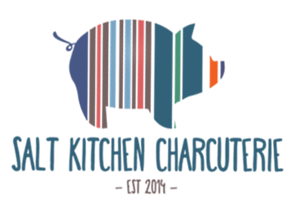 The artisan producer sources older, bigger pigs with large muscles and more intramuscular fat. This allows for a longer, slower maturing time. 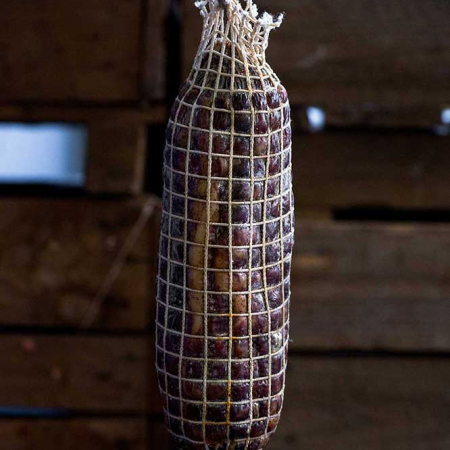 The result is a slightly sweet, deep-flavoured salume, with appealing burgundy-coloured flesh. 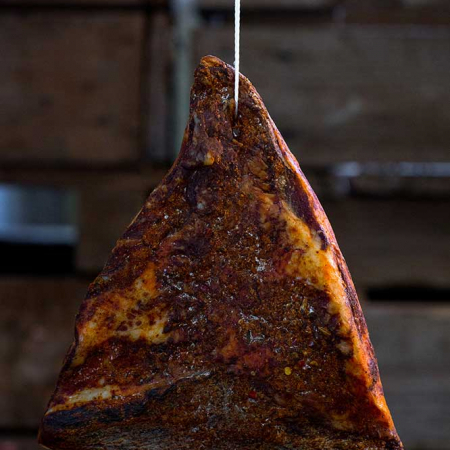 Although long-cured, the flesh is still supple, with a delicate texture when finely sliced. 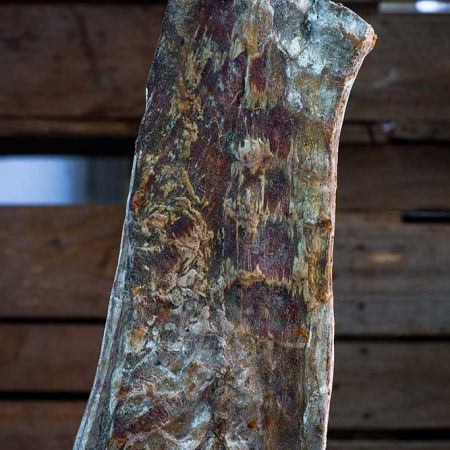 The curing process sees the muscles cleaned, weighed and rubbed – not covered– with salt. This method cures the meat without hardening it from over-salting. 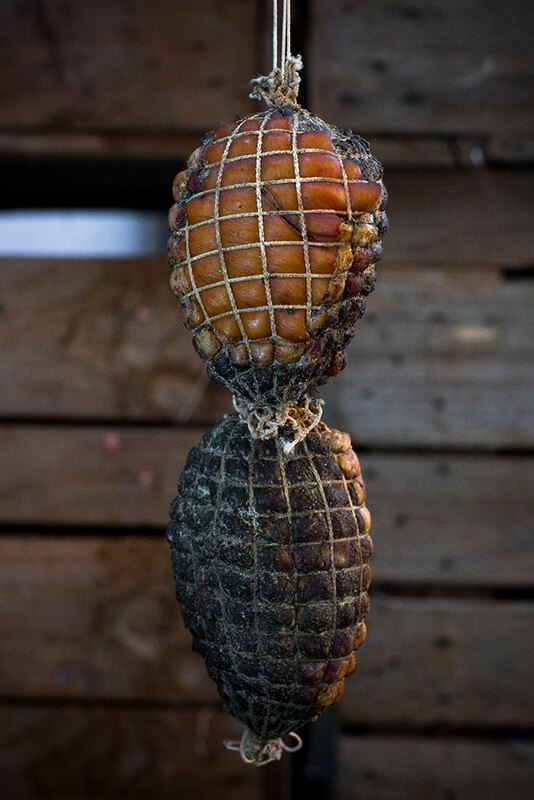 It is cleaned and rubbed with a special herb blend, then covered in a string net to help hold its shape. It is slowly air dried and matured for fourteen weeks. 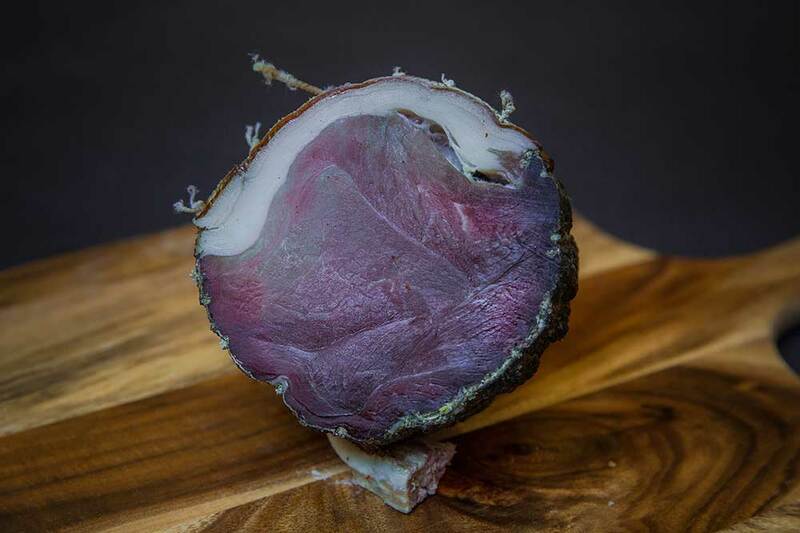 Perfect thinly sliced, serve it with big wines such as Barossa Cabernet or Heathcote Shiraz. Slice and lay over a pizza fresh from the oven or enjoy with crusty bread.